Attention cord-cutters! DirecTV has gone live with their new streaming TV service called DirecTV Now. This join existing competitors Sling TV and Playstation VUE. Here’a an image that breaks down the $35/$50/$60/$70 per month tiers (click to enlarge). HBO and Cinemax can be added on for $5 a month each. Below are a list of current promotions as well as brief pros and cons. Free 7-day trial for everyone. Credit card is required, they will auto-bill you at the end of the 7 days. Free 4th-gen Apple TV ($149 retail) with 3 months pre-paid of any DIRECTV NOW package. You’d basically be paying $105 for 3 months of service and an Apple TV. Free Amazon Fire TV Stick with Alexa ($40 retail) with 1 month pre-paid of any DIRECTV NOW package. Competitive price, more niche channels. The channel line-up does differ from Sling and VUE – check this CNET table for a specific network. DirecTV in general includes more niche channels in its packages. Simplicity. No installation fees, satellite dishes, annual contracts or credit checks required. Cancel anytime. You can cancel or pause your subscription online without calling in. AT&T Wireless customers get free app streaming that won’t use up mobile data limits. This is a handy feature if you have AT&T service already, but such favorable treatment is not good for net neutrality. Limited local network broadcasts. Depending on where you live, you may not get live local network broadcasts from ABC, FOX, or NBC. However, you can see some network shows on demand the next day. CBS is not included anywhere. No DVR capabilities. You can’t pause live TV or record anything. DVR features are supposed to arrive “sometime in 2017”. To mitigate this, DirecTV has added in video on demand from many networks after a 72-hour delay. In other words, you can still watch a bunch of shows later on at your convenience, but not everything. Sling TV has a basic $20 a month level. Sling TV’s lowest tier includes 30 of the more popular cable networks (ESPN, CNN, TNT, TBS, Food Network, etc) but is only $20 a month. The lowest tier for DirecTV Now is $35 a month. DirecTV Now limits you to two simultaneous streams on different devices (ex. TV + iPad). Sling and Playstation limit you to three simultaneous streams. This may or may not affect you. Compatibility. Works with the following for now. Notably, Roku boxes and Samsung Smart TVs are not yet compatible. Commentary. A little preview of the future. 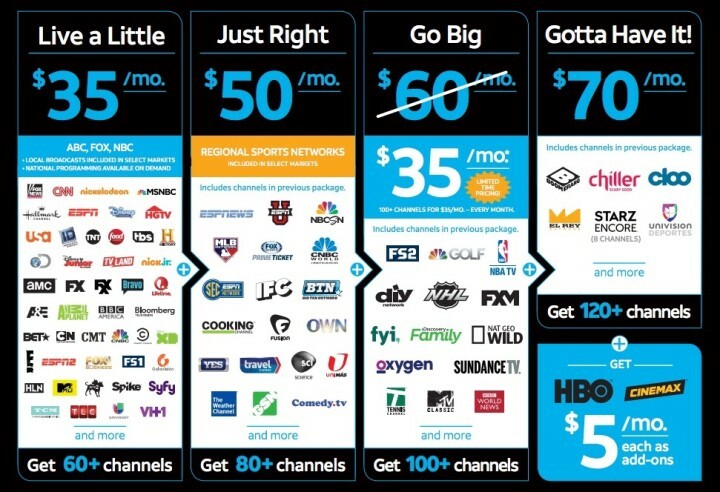 DirecTV differentiates itself with volume, offering more channels than streaming competitors. The current promotions basically get you a free streaming unit from either Apple or Amazon. The free data allotment for AT&T customers is unique and ideal for those who watch TV away from WiFi. (AT&T now owns DirecTV.) If I’m going to cut the cord, $35 a month is probably close to the max I’d pay for live content given I’m likely also paying for NetFlix. Personally, the lack of DVR capabilities continues to be a deal-breaker for me. This time of year, we are surrounded by discounts. 40% off here. 80% off there. I always wonder to myself, does it really make any difference? If you save $35 on a $50 sweater, you feel good that you got a bargain. But where does that “savings” go? Are you actually any richer? Don’t you just go out and buy more stuff? Does chasing all these sales actually help or hurt your net worth? What is the easiest way to transfer money into a savings account “piggy bank”? You don’t even technically need a smartphone or a cellular data plan for this app to work, just SMS text capability. I can also have it work on my laptop through my Apple Messages app. See my Digit review for more details on their auto-saving feature. Dobot (“Dough-bot”) is another similar saving bot app that I am trying out right now, and they are offering a $5 new user bonus (If you get $5, I get $5 too). However, everything is done in-app and not through text. Online Bank App. Most online banks have smartphone apps, and even better is the fact that most will now let me log in using my fingerprint. I tested out a $5 transfer from my checking to savings account using the Ally Bank app and I counted 13 taps total. Here’s a quick screenshot. Using the bank app was certainly not difficult, but texting Digit simply felt more natural. Keep in mind that you can have unlimited transfers from Ally checking to savings, but per federal bank regulations, you can only make 6 outgoing transfers per month from any bank savings account. Pen and paper. Write your discount savings in a notebook or scrap of paper, and then add them up later at the end of the day, week, or month and initiate a transfer. Seems simple enough, but in the real world that delay would mean that I wouldn’t do it. Siri, Google Assistant, or Amazon Alexa? Perhaps the easiest way would be to just say “Hey Scary AI Robot, send $5 into savings for me” and it would transfer from my checking to savings. You’d have to add in some security firewalls so the transfers only go between internal bank accounts (and not some hacker’s bank account). I don’t know of any actual setups that would do this, but I did see that Alexa already has some limited integration with Capital One. Promotion back again starting 11/29. A recent study found that free pizza was a better motivator than cash. How about some free coffee? Download the Starbucks® app and create a Starbucks Rewards™ account. Existing Starbucks® app users: Simply go to the “Pay” section of the app to get started. 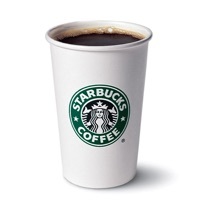 Reload $10+ in the Starbucks® app with Visa Checkout (sign in/sign up link below). Receive your $10 Starbucks® eGift within 1 day courtesy of Visa Checkout. Valid between 11/29/16 and 12/22/16, or while supplies last. Usually if they run out of free codes, they will take down the offer page. However, if you’re interested I’d take advantage of this offer as soon as possible. Qualifying customers will see the $10 Bonus Load in the form of an emailed Starbucks eGift card within 24 hours. (Update: I got my $10 bonus within 8 hours.) You will not see any mention on your initial $10 load receipt. You can check which Visa card is linked to your Visa Checkout by going through the “Add card with Visa Checkout” button. Our next re-branded day is Giving Tuesday, which this year falls on November 29th, 2016. After you’ve celebrated Thanksgiving and then survived Black Friday, Small Business Saturday, and Cyber Monday, the focus is back on helping others less fortunate than you. You optimize your earning and your spending, now here’s some final tips to optimize the positive impact of your charitable giving. Check if your employer will match the charitable donations of employees. If you’re not sure, try this lookup tool from DoubleTheDonation. Most of these programs don’t require you to actually give on a specific day, but you may want to start the process today so you don’t forget in the holiday rush. PayPal 1% Donation Match + Waived Transaction Fees. From 11/29 through 12/31/16, PayPal will add 1% to donations that you make through the PayPal Giving Fund. In addition, PayPal will not charge any transaction fees to you or the charity itself (which is not true of most other charity payment networks). The minimum donation is $10. You must use your PayPal account. As far as I can tell, you can link up any rewards credit card of your choice and use that as the funding source. 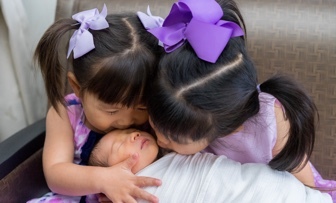 Your donation will technically be given to the PayPal Giving Fund, an IRS-registered 501(c)(3) nonprofit organization, and then disbursed to your selected nonprofit. It will still be tax-deductible to the extent allowed by law. Other donation portals do this re-routing as well. The only catch is that the charity has to participate in their PayPal Giving Fund, so it may not include your charity of choice. 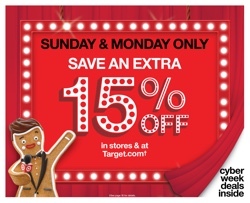 Target is offering a flat 15% off your entire purchase on Sunday 11/27 and Monday 11/28, both online at Target.com and in-store. This is a nice and easy way to save some money on your everyday shopping at Target, and it stacks with the 5% off with Target REDCard. Finally, if you shop online, you can use a cashback shopping portal. Many offer new customers bonuses, including eBates ($10 bonus), TopCashBack ($10 bonus, you see it after entering e-mail), and BeFrugal ($10 bonus). I have cashed out of all of these before. Free Apple iPhone 7 32GB, or Samsung Galaxy S7 32GB, or LG V20 64GB with trade-in. Free when you trade in a qualifying device with T-Mobile ONE or Simple Choice Unlimited, after 24 monthly bill credits. This deal is available until Sun., Nov. 27 at 11:59pm PT. Details on Apple iPhone 7 qualified trade-in devices here. Get $200 for every line you switch to T-Mobile (up to $2400) with trade-in. For a limited time, when you switch a number to T-Mobile with T-Mobile ONE, we’ll give you $200 per line to spend however you want on a prepaid Mastercard. Valid 11/24-12/31/16. Free hour of In-Flight Wi-Fi for Everyone – even AT&T, Verizon & Sprint Customers. Starting today through Sat., Nov. 26, the Un-carrier is giving everyone a free hour of Wi-Fi for their smartphone on Gogo-equipped domestic flights. Now, everyone can enjoy one of the perks T-Mobile customers already enjoy during one of the busiest travel weeks of the year. If you prefer to set up your service with T-Mobile over the phone, you can call 855-407-3034 and ask for this offer. Supposedly, Verizon Wireless will be matching these deals as well. It should be shown on this Verizon Wireless Black Friday deals page. Barnes & Noble is offering 30% off any one item with coupon code BNBFRIDAY16. Offer is also valid in-store with Store Coupon #30164100000. For each customer, this coupon can be redeemed only once at any Barnes & Noble retail store or only once per billing address online. Valid from 11/24 to 11/27 (technically until November 28, 2016 at 2:59am ET). The discount will be applied to the most expensive eligible item in the order. This year, Small Business Saturday will be on November 26th, 2016. Although it was started in 2010 by American Express on the Saturday after Thankgsiving, since 2011 this day has been officially recognized by Congress. As was the case last year, there will be no flat statement credits in 2016 for shopping at a small business. Instead, American Express is offering double points or double cash back through the end of 2016 for shopping at small businesses from now until December 31st, 2016. You must register here first. Find local, participating small businesses on their Shop Small map. Membership Rewards cards will earn 1 additional Membership Rewards point per dollar spent. Delta Skymiles cards will earn 1 additional mile per dollar spent. Blue Cash cards will earn an additional 1% back per dollar spent. Blue Sky cards will earn 1 additional Blue Sky point per dollar spent. Hilton Honors cards will earn 3 additional Hilton HHonors points per dollar spent. Starwood Preferred Guest cards will earn 1 additional Starpoint per dollar spent. Plenti cards will earn 1 additional Plenti point per dollar spent. Schwab Investor cards will earn an additional 1.5% cash back per dollar spent. Rewards cap applies; 2X Rewards valid on up to $100,000 in purchases per enrolled consumer card and $250,000 in purchases per enrolled business card. American Express has also been adding a lot of new offers – including local small businesses! – to their AmEX Special Offers. Log into your account online and see what you have targeted in your area. You may also see 10% off your cable or Satellite TV bill, 10% off your cellular phone bill, $25 off Verizon Wireless, $20 off $100 at Staples.com, or double/triple points at merchants like Amazon, Target, and Home Depot. Please the Shop Small Team at 1-800-235-8916, Mon-Fri 9am-6pm, EST and have your federal tax ID handy. We look forward to hearing from you! Participating small businesses can also sign up for additional marketing materials here. This Fortune article discusses the positive impact that American Express’s statement credits from 2010-2014 had on small businesses after the 2009 recession. It felt good that this promotion supported independent retailers, whereas most promotions go towards the big chains. Small Business Saturday was also a clever way for American Express to tell the public that they’ve increased acceptance of their cards at small businesses, which has always been their relative weak spot due to their slightly higher fees for the merchant. Just in time for the holiday travel season! Uber and American Express are running a new promotion for 2 free Uber rides from an eligible airport up to $65 each. This promotion is valid for both new and existing users. Enter code AMEXAIRPORT in your Uber app under Promotions or Payment. Good for two rides, up to $65 each. Any amount over $65 will be charged to your American Express. Valid on all Uber options. Your ride must originate from one of the eligible airports listed below. You must complete your trip by 11:59pm on 12/31/16. If you don’t have an Uber account yet, you can get $20 off your first ride via this special link or by using promo code uberMYMONEYBLOG at signup. But remember – Uber promo codes cannot be combined or stacked. When you enter multiple promotion codes in the Uber app, the most recently entered code that is eligible for the ride will be applied to that ride. Once you have added a promotion code to your Uber app, you cannot delete it. Experian, one of the three major credit bureaus, has bought the domain FreeCreditReport.com and converted it to a place where consumers can view their Experian Credit Report for free. There is no credit card required, no trial membership required. Like most of its competitors, “free” does mean that you’ll see advertisements and offers for paid premium features. Checking your own credit will not hurt your credit scores. Sign-up process. You will need to provide your personal information like name, address, birthdate, and Social Security Number. You’ll also need to verify your identity by answering some multiple-choice questions based on your credit report data. I’m okay with some unobtrusive ads and upsells in exchange for free monthly credit reports. I have not tried any of their paid premium features. I did notice that when you sign up, it is not mandatory to sign up for their special offers. You can still proceed even if you uncheck the box. How can I refresh my report? You can refresh your Experian credit report as often as every 30 days, but only if you log in to the website. Many sites operate this way, as it reduces their costs of grabbing your score if you are no longer interested. Also, they want you to log in so that they can show you advertisements. Bottom line. 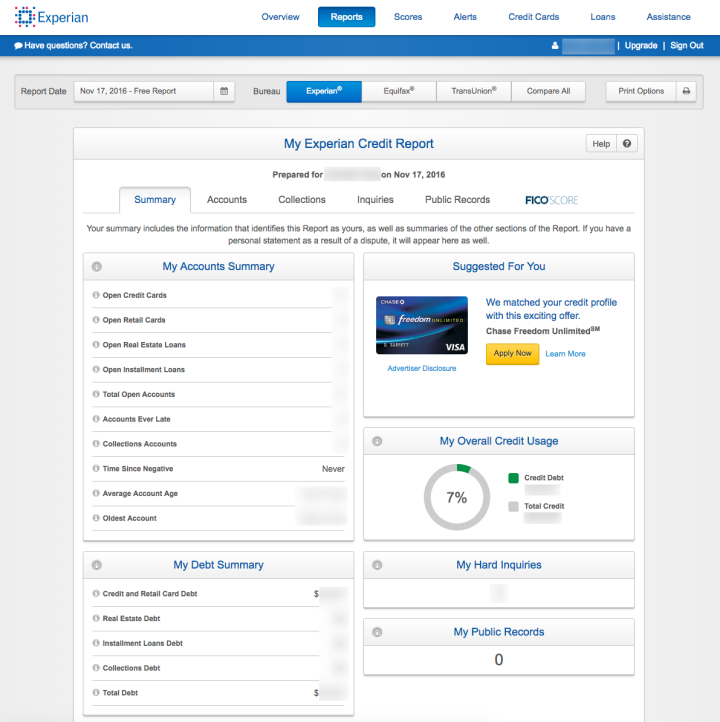 FreeCreditReport.com is legit, owned by Experian, and offers free access to your Experian credit report. Experian already has all your information anyway. No credit card is required. Being able to get an updated report every 30 days is more frequent than other options. See also: Get a free copy of your TransUnion credit report (another of the three major credit bureaus) through the TransUnion-owned site called TrueIdentity. If you’ve been in withdrawal from “proper” Top Gear, the new Amazon series The Grand Tour premiers on Friday, November 18th (press release). The three original stars Jeremy Clarkson, Richard Hammond and James May have gotten back together and there are 12 new episodes that will stream weekly. To try and attract these new gearheads, Amazon is running a one-day Grand Tour Prime promotion on Friday 11/18 from 12:00am ET to 11:59pm PT. For one-day only, eligible new Prime members can join Amazon Prime for $79 (normally $99) and save $20 on your first year’s membership in celebration of The Grand Tour launch. The promotion does not apply to existing or gift memberships. I’m not 100% positive on this, but I believe that a “new” membership simply means that your account must not currently have an active Amazon Prime membership, not that you’ve never had one in the past.